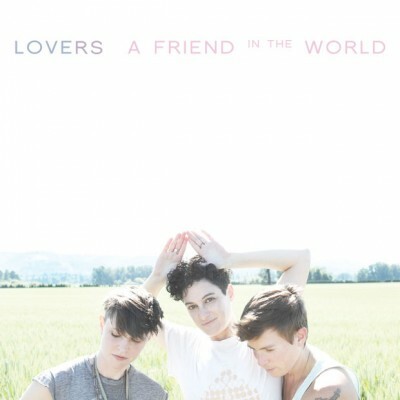 ALBUM REVIEW: Lovers, "A Friend In The World"
This Portland, Oregon trio – Carolyn Berk, Emily Kingan and Kerby Ferris – bring a strongly rhythmic, atmospheric 7th album. Themes of love, longing and loneliness permeate the lyrics. The aural landscapes are a mix of keyboards, drums, electronic effects and warm vocals (often laced with harmonies). Tracks such as “Girl In The Grass”, “Modern Art Museum of the Modern Kiss Goodbye” and “Oh Purple” are standouts – all in all, a moving effort.